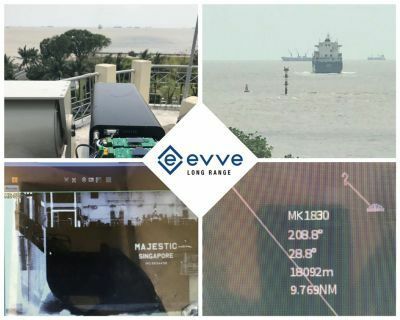 Evve Long Range (ELR) conducted a successful performance test in South East Asia! The target was to find a vessel and check the exact distance to that vessel by radar. The ELR long range camera - with the hyper sensitivity camera – achieved an outstanding and unique performance: it was able to find and read a vessel at 18 092 meters in fog and cloud weather conditions. ELR was the only system capable to see a vessel at further than the 15 km barrier during the performance test!